The Departments of Political Science, Economics and Sociology, Drexel Library and the Faith-Justice Institute are participating in the national campus showing of Robert Reich’s film: Inequality for All. Please join us. The Q&A with Robert Reich is now available for all to view. Please follow this link. Also, the film is now available on Netflix! We also have a copy available in the library, so if you’d like to screen it in your class, you’re welcome to check it out. Dr. Davis is a Principal and Chief Economist of Head of Vanguard Investment Strategy Group. 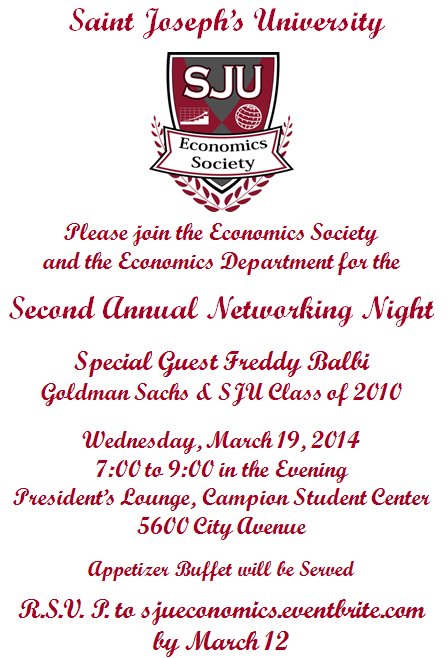 This event is sponsored by the Department of Economics.